Blogging – Get Started and Make Money! It’s never been easier to start your own blog and most people have a niche that they can blog comfortably within. Blogging can be lots of fun and just a casual pursuit but a lot of bloggers dedicate a lot more energy to it and actually make money out of their blogs. It’s not easy and it takes a lot of effort. With that in mind, here’s how you can do it too. Before you start blogging, you naturally have to decide what you’re going to blog about. Not all topics are going to be profitable so if you’re keen on chatting about something, make sure it’s pretty darn interesting to others or your audience is never going to be big enough to make you some serious cash. So you need to do your research, find a niche and then choose a keyword-rich domain name (i.e. if you’re blogging about backpacking in Australia, make sure you have the words ‘backpacking’ and yes, you’ve guessed it, ‘Australia’ in your domain). There are plenty of hosting options out there that shouldn’t cost you an arm and a leg, but it’s definitely worth doing some research there as well. Once you’ve chosen your niche and domain, you’re armed with your own little online parking space in which you need to deposit the most stunningly attractive information in the most stunningly attractive manner. To do this, you can theoretically use free blogging software such as WordPress. They offer plenty of templates and little widgets that allow you to tweak your blog and make it individual. However, others prefer to design their own blogs so that they have entire control. Although this is obviously only possible if you have the design skills – or a designer mate who owes you a big favour. Now you’ve got your blog organised, it’s time to start writing! This is where it’s crucial to have a good understanding of keywords. Be very aware of keyword stuffing. Let’s say again that you’re writing about backpacking in Australia. If every single sentence contains the structure ‘backpacking in Australia’, search engines will very quickly show you the door. Similarly, general overuse of one keyword phrase will get you blacklisted. You need to weave search terms through your text in a natural fashion that doesn’t detract from the readability of your text. It’s worth spending some time researching your niche and discovering exactly what people search for. 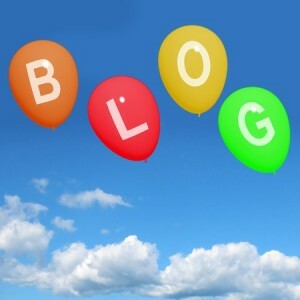 Next it’s a matter of driving some significant footfall to your blog. You could start by using your social networking profiles to drive your friends and family there. But further to that, you must be prepared to spend a lot of time or money on driving traffic. Once you can boast regular and impressive statistics, you can start thinking about using Google Adsense to display adverts on your blog (you’ll get paid every time they get clicked) and using other affiliate programs to make some serious cash. « Is Google Plus the Next Big Social Networking Site?